This famous online bookmaker appeared for the first time on the gambling services market in 1999. One year later, it launched its first website focused only on online sports betting. Franz Omer and Jochen Dickinger are the founders of the company, which later transformed into a quite sophisticated organisation. In 2004, Bet-at-home became a joint stock corporation and got listed on the Frankfurt Stock Exchange. 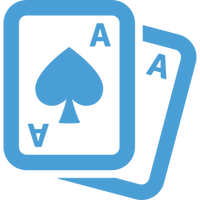 Later on, in 2009, the enterprise was accepted in the honourable organisation BetClic Everest Group, which is known as a leading company in the gambling industry. Nowadays, the online bookie has nearly 264 employees, and it’s serving most of Europe with more than 4 million registered user. Players from the USA are not accepted. 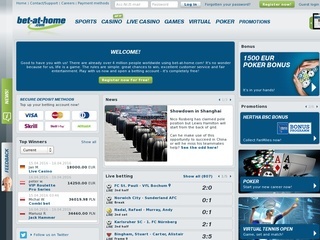 However, Bet-at-home is especially popular in Eastern Europe as well as Germany, Austria and Switzerland. Statistics from 2014 show that Bet-at-home has generated more than €56 million in gross profits only from its sportsbook. More and more users try their luck on the platform. The company is still growing and it is a contender for the top rankings in the online gambling industry. With competitive odds, a great platform and flawless customer service Bet-at-home is a must try. This European online betting enterprise offers an excellent gambling experience for its clients on various sports betting markets. They are some of the best in their offering, and the sports available are the most famous among the players. Bet-at-home provides unlimited access to more than 75 different sports and betting opportunities on them. The most popular are soccer, American football, tennis, volleyball, baseball, basketball, horse racing, boxing, cricket, greyhound racing, cycling, darts, field hockey, motor racing, lacrosse, golf, handball, bandy, ice hockey, pool, rugby, snooker, winter sports and martial arts. Bet-at-home provides additional markets for those who are not satisfied with sports. Clients can also wager on politics and awards. Live betting is available on the desktop and mobile platform of the online bookmaker, but only on several sports, such as football, ice hockey, skiing and tennis. This traditional bookie also provides live streaming on various sports events. If you are looking for any other gambling experience, you can have some fun on in the online poker rooms or take you chances at the online casino. There you will find Poker, Baccarat, Roulette and Slots. Bet-at-home has a large number of other games that anyone can enjoy. All odds are in EU format and, in general, are quite attractive even for the most fastidious gamblers. According to various sources, some of the odds are low on favourites and in an even match, the odds are 1.85 – 1.85. On the other hand, football betting enthusiasts can enjoy most of the related schemes for their beloved sport. There are 1X2, correct score, first goal, double chance, half/full time, first half, under/over and handicap in football matches. Players can also enjoy a wide range of combinations for their bets, including the most popular ones. Anyone is free to take advantage of Double, Treble, Trixie, Patent, Yankee, Lucky15, Heinz and Super Heinz as well as Goliath. According to Bet-at-home’s policy, the min allowed bet is €1 and max value can vary, which mainly depends on the market. Winnings also have limits and one customer can cash out no more than €20 000 for every single bet and €100 000 a week. Bet-at-home provides a high-class security and encrypted connection to its clients. The corporation employs the VeriSign certificate for its website and ensures that customers’ sensitive data is well protected. Gamblers can rest assured about fair gaming by two of the largest organisations dedicated to this cause – EGBA and ESSA. The online bookmaker has its membership in both of them. According to various customers, some divisions of the support team are sloppy and inefficient. For example, the live chat system has a poorly rated among the users. Alternatively, Bet-at-home provides a 24/7 phone line for urgent issues, as well as email support with extended language coverage. Most European languages are included, such as French, English, Czech, German, Italian, Spanish, Polish, Slovenian, Serbian, Turkish, Hungarian, Greek, Slovak, Russian, Bulgarian, Croatian, Romanian, Dutch and Swedish. The staff is usually very polite and helpful, especially over the phone. The depositing options are quite extensive and cover most of the widely used payment methods. Customers are free to deposit their money with credit cards bank transfer method or other e-wallet services or transfers. The withdrawals, on the other hand, are free of any commissions but are quite limited in options. Gamblers can cash out their money only with few of the methods. You might be surprised, but that’s all. 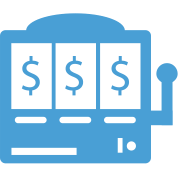 The online bookie supports many currencies. A great Sign Up Bonus is available for all new players. In 10 days after the registration, every newcomer can receive a bonus of 50% on their deposit up to €50. The promo code FIRST should be entered, and the free money should be wagered at least four times prior to any withdrawals and redeeming. The required odds are set to 1.70 for any bets. Take note that all sports are qualifying for the bonus except greyhounds racing. Some countries are also forbidden to participate in this offer. 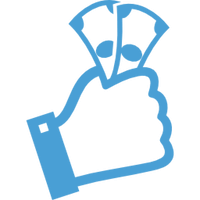 In addition to the welcoming offer, there is a great lottery based promotion for loyal customers. Every day one lucky player receives €50. Apart from this, Bet-at-home doesn’t offer any other VIP programs, reloading or referral bonuses.